We are pleased to announce that Gift of Life has a newly redesigned web 2.0 website! One of the newest features is an integrated blog within the site. Because of this, our blog has moved, and we will no longer be posting to WordPress. To catch up on all the newest blogs, simply go here: http://www.giftoflife.org/Blog/. We hope to see you there! There are four steps to the donation process: Initial Recruitment, Confirmatory Typing, Markup, and Donation. The second step, confirmatory typing, is repeat tissue typing to confirm the compatibility of the donor and patient before a bone marrow or peripheral blood stem cell (PBSC) transplant and is an important process for potential donors to go through; only 30% of donors are called to go through this step. When a registered donor is asked to go through Confirmatory Typing (CT), they have been selected as a possible match for a patient in need of a bone marrow or PBSC transplant. Essentially, a doctor searching the bone marrow registry has determined that a certain individual could be a match for their patient and is requesting further testing of the volunteer donor. When this occurs, a Gift of Life Donor Services Coordinator contacts the donor to inform them that they have been chosen and asks them to consider giving a blood sample which will be analyzed to ensure that the person is a suitable match for the patient in need and will be screened for markers of infectious diseases. Before consenting to a blood draw, the volunteer will have a brief information session with the donor services center to learn about what is required of them at this step and to answer any questions they may have. A consent form authorizing testing must be signed, and a health history questionnaire must be completed. A potential donor can be released for a variety of reasons. It is possible that a more suitable donor has been found or the patient is not yet ready to receive a transplant. Though a donor may not be selected to move forward for the patient they were tested for, they may still be called for another patient in the future. Sometimes, though, a donor is placed “on hold.” This means that the transplant center is not ready to release them, nor do they want to request them as a donor yet. A donor can be placed on hold between three and six months, and a Gift of Life Coordinator will keep in contact to give updates on their progress. If the individual is requested to donate, it means they are a match! What does it mean to be a match? A person has two types of tissue markers that are compared in the matching process; when the transplant center looks at the match level, they are looking at how similar the tissue types of both patient and donor are. If enough of the markers match, then the donor is asked to donate. They will go on to the next step, Markup, and will participate in an information session to further educate them on the donation process. If they consent to donating bone marrow or PBSC, they will be asked to sign a form indicating their intent to proceed with the donation and will then undergo a physical exam. Though only approximately 8% of donors called for confirmatory typing are asked to proceed to the next step, confirmatory typing is still vitally important. “CT is the first step in a very important process. We would never find matches without this vital step,” remarks Kristin, a Gift of Life Donor Services Coordinator. When a donor goes through confirmatory typing, they are not alone. Donor Services staff makes sure to answer any questions a person might have and are great to work with. If you are ever called to go through this step, they will be there to guide you through. Severe combined immunodeficiency (SCID) is a group of inherited immune system disorders caused by a mutation in a gene that affects the immune system. These abnormalities lead to reduced or malfunctioning T- and B- lymphocytes, which are the specialized white blood cells made in the bone marrow that fight off infection. When the immune system is compromised and cannot function properly, it is hard, and sometimes impossible, for the body to battle bacteria and viruses that cause a person to become sick. SCID gets its name because it affects the function of two kinds of white blood cells, whereas other immune system disorders only involve one. Because it is genetically inherited, the disorder is passed from parent to child. The most common type is caused by a problem in a gene found on the X chromosome and affects only males. Females are carriers, as well, but since they inherit a normal X chromosome too, their bodies can usually fight infections normally. Babies are protected from infections by immunity transmitted to them by their mothers the minute they’re born; however, over the course of the next several months, they begin to develop their own immune systems and their bodies become responsible for fighting off infections. Sometimes, however, they have immune deficiencies and cannot fight off common infections on their own. SCID is rare, though, and approximately 1 out of 200,000 children are born with it. There are specific signs doctor’s note when diagnosing SCID. Classic signs include an increased vulnerability to infections. A child who suffers from recurrent bacterial and viral infections that is less responsive to treatment that what would be expected could have immunodeficiency. If a child does show signs of a possible immune disorder, the doctor can perform a blood test to determine the number of white blood cells and test their function. Babies who have this immunodeficiency will have a very low white blood cell count. Parents that are aware of their family’s health history with immunodeficiency can receive genetic counseling and early blood testing to determine whether a child is at high risk for the disease. When it is diagnosed early enough, it will enable early treatment and vastly improve a child’s chance of survival. The most effective treatment and cure for SCID is a bone marrow or peripheral blood stem cell (PBSC) transplant. Essentially, blood stem cells, which are found in the bone marrow, are introduced into the body in the hopes that the new cells will rebuild the immune system. Typically, the best match donor is a sibling. Each child’s sibling has a 25% chance of being a suitable donor. A parent may also be an acceptable match, but sometimes, a child must rely on a stranger to be their perfect match. The survival rate for children with a matched donor is high, and the likelihood of a good outcome is certainly higher if the transplant is done early, if possible. There is support for parents who have children with SCID. Always consult with your doctor, and visit http://www.genome.gov/13014325 for more information. Donating to a patient in need is a Cohen family affair. Dan and Stacey are a brother and sister duo who registered to be potential bone marrow donors at Ramah Day Camp in Nyack in 2006. Dan’s donor experience was featured a couple of weeks ago. This is his sister Stacey’s story. Stacey became a donor because she wanted the chance to save someone else’s life. She knew that the prospect of donating and helping someone was incredible, but she never thought she’d be called to donate. Her experience is certainly unique. She was present when Dan got his call, and it was believed that she would be called for the same patient because siblings have similar DNA. Though she wasn’t contacted then, she was called two years later. When she received her call, Dan was, of course, encouraging. She was told the patient was an older gentleman in his 60’s. Her first thought was that this could be someone’s father, and once that idea was in her mind, she knew she had to help. She had watched Dan go through the process, and was impressed with his willingness to save a life and do anything that was asked of him. As she went through the process of confirmatory typing (the preliminary testing to determine if a donor is the best match), everyone she met was surprised to hear that she had a sibling who had donated. Though the process leading up to donation was a bit hard, it was worth it. In October 2010, Stacey went to Cornell Medical Center in Manhattan and donated blood stem cells (PBSC). The process was smooth, and many of the staff remembered her brother because the two had donated at the same hospital. To keep her company, she had some DVDs and her laptop, and she spent a majority of the time chatting with her friends over instant messenger. A few days and cupcakes later, she was back to herself again. Stacey is currently a Graphic Designer for Planned Parenthood Federation of America after attending the Rhode Island School of Design. Her advice for those contemplating joining the registry is simple: Just keep it in perspective. If there was a stranger out there who could save the life of someone you love, wouldn’t you want them to? She says, “As unpleasant as preparation and donating might have been, it certainly was nothing compared to the arduous lifestyle my recipient must have been going through at the time.” She knows that it’s well worth any discomfort to save a life, and if she were called again, she’d absolutely donate. Donor recruitment drives are an integral part of Gift of Life. They directly impact the lives of patients around the world who are in need of bone marrow and blood stem cell transplants by improving their chances of finding suitably matched donors in the registry. Running a donor drive is a very worthwhile experience for both the coordinator and the community, and the Gift of Life staff is there every step of the way to ensure that it’s a success. All one has to do to get started is contact one of our recruitment coordinators. Before scheduling a drive, the date, time and location must be established. The organizer should schedule a date where the greatest number of people will be available. A successful tip that many drive coordinators take advantage of is hosting the drive during an event that’s already scheduled. Local fairs and fests are great because there will already be a large number of people present; college students have had success running drives during homecoming football games and other campus events. Hosting a drive during a party, wedding, bar/bat mitzvah, marathon or other event will help maximize attendance and make the drive more successful. The location should be a high traffic area where a large number of people will notice, and it should comfortably accommodate the number of tables, chairs, and anticipated donors. Avoid scheduling a drive during holidays, popular vacation times, and the middle of the week because the turn out could be quite small. Usually, drives held on the weekend are more successful. When setting the time, have the drive during hours when it’s convenient for the most people to stop by. This could mean holding the drive early in the morning at a community breakfast or later in the afternoon at a sporting event. After the drive has been established, the coordinator must begin recruiting volunteers. Enlisting the help of others is vitally important; although the drive coordinator is the leader of the event, they should delegate tasks to individuals whom they’ve chosen to help out. The number of volunteers recruited will depend on the anticipated size of the drive; the bigger the event, the more help will be needed. All volunteers must be adequately trained, and the Gift of Life recruitment coordinator will help with training by sending the proper materials and ensuring that the drive organizer is properly trained, as well. Training is an important step in the recruitment process, and a training session should be held prior to the drive; it is an effective way to educate volunteers about bone marrow and blood stem cell donation and transplantation. The organizer can distribute Gift of Life materials, show the DVD provided in the coordinator’s packet, or give a presentation on the importance of registering to be a potential donor. 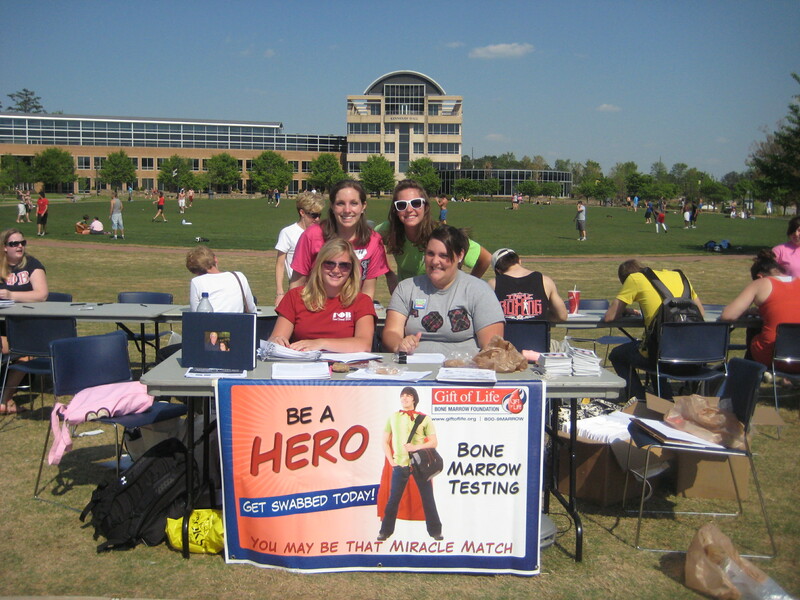 Educating the volunteers will allow them to properly inform donors why it’s important to join the bone marrow registry. Another vital aspect of running a donor drive is marketing. Publicity efforts should be targeted towards the ideal audience: generally healthy adults between the ages of 18 to 60. Gift of Life supplies the drive coordinator with a PDF version of a flier for the drive, and it is a fundamental part of marketing. It can be distributed electronically through an e-mail listserv or on social media sites, or it can be printed off and distributed throughout the community. Coordinators can enlist local radio stations to run a public service announcement about the drive and create and submit press releases to local newspapers. Sample PSA’s and press releases are included in the coordinator packet and can be used accordingly. Other types of marketing include placing an ad in local magazines, posting the event on local community calendars and posting boards, as well as sending a personal email to prominent members of the community inviting them to the drive. “It’s easier than one thinks [to run a drive]. If you have a good heart and want to make a difference in the world, it’s simple to do. We make it easy; we supply a lot of information and help as much as we can,” says Northeast Recruitment Coordinator, Ruth Miller. Gift of Life recruitment coordinators are dedicated to helping all donor drives succeed, and they train all drive coordinators and ensure that any questions or concerns the facilitator might have are answered and addressed before the day of the drive. Gift of Life runs drives all over the United States; if there is an audience and a person willing to run the drive, we’ll do it. If you are interested in running a donor recruitment drive in your area, contact our recruitment department at recruitment@giftoflife.orgor 800-9MARROW. Dan is a Gift of Life hero. He first learned about Gift of Life at Ramah Day Camp in Nyack, New York in 2006. While working as a camp counselor, he knew that having the potential to save someone’s life was important, and intrigued, Dan signed up to become a registered donor. The rest of his summer continued without him giving much thought to becoming a donor, and he was looking forward to college in the fall. A year later, in October 2007, Dan received a call from Gift of Life informing him he was a match for a patient in need. He was very excited about the possibility, and he went through the work-up process to determine how good of a match he was. He was notified a month later that someone else was a better match; he was disappointed, but he was glad that they found someone who could better serve the needs of the patient. 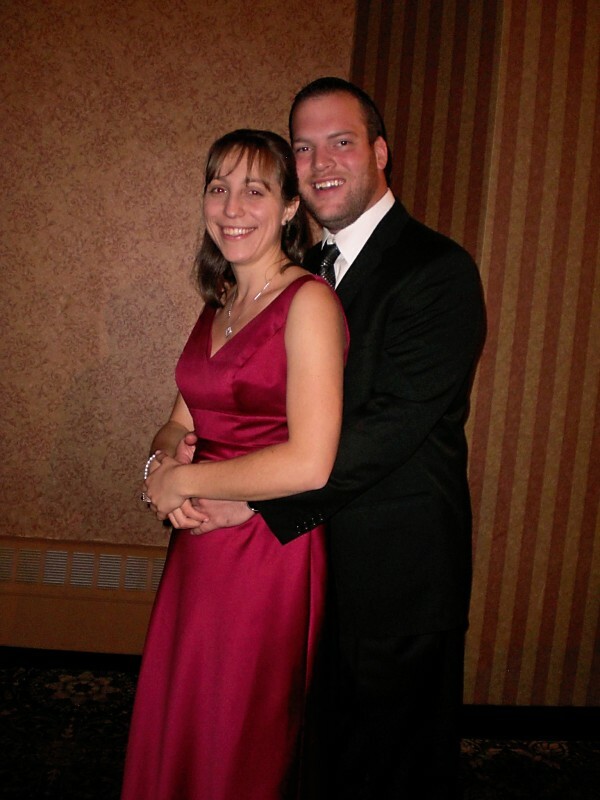 In early 2008, Dan received yet another call from Gift of Life informing him he was a match for the same patient they had told him about a few months before. There was a sense of urgency; so, in March, he traveled from his college, SUNY-Buffalo, to New York City and donated peripheral blood stem cells (PBSC). He didn’t have the easiest time, but for him, it was definitely worth any difficulties to save a life. Dan signed up to become a donor because it seemed like the right thing to do. His thought was that it could be him who needed a transplant tomorrow, so why wouldn’t he help someone in need? Though his recipient passed away, and they never got the chance to meet, he will never regret becoming a donor. He was saddened by her passing but grateful that his donation gave her time to spend time with her family, even if only for awhile longer. 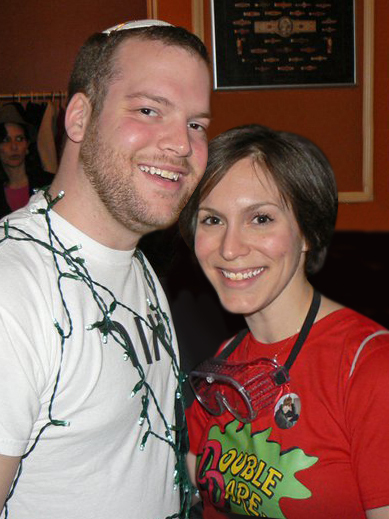 Dan’s relationship with Gift of Life didn’t end after donating. He has volunteered at donor drives, both at the camp where he registered and at his undergraduate college. He is hoping to run a drive at the Jewish Theological Seminary in Manhattan, where he is currently studying for a Master’s degree in Jewish Education. He has a passion for helping others and his advice for those who are contemplating joining the registry is “to just do it. If it was someone you loved or yourself, you’d want others to sign up. There’s nothing to lose; you’re not losing anything but time, and in that time, you could save a life.” As to whether he would donate again, if called, he would do it in a heartbeat. One picture: It’s worth a thousand words, and it shows a story that is worth being told. Photographs are used for many different reasons. Magazines use them to sell products; newspapers use them to illustrate newsworthy events and evoke emotion from their readers; the average person uses them to share memories and capture significant moments in time. Photo-taking and preserving memories aren’t just for adults, either. The art of taking photographs to preserve a milestone is an old one, loved and adored by people of all ages; we sure have moved a long way since 1826 when the first photograph was taken. People still use cameras to capture noteworthy milestones. 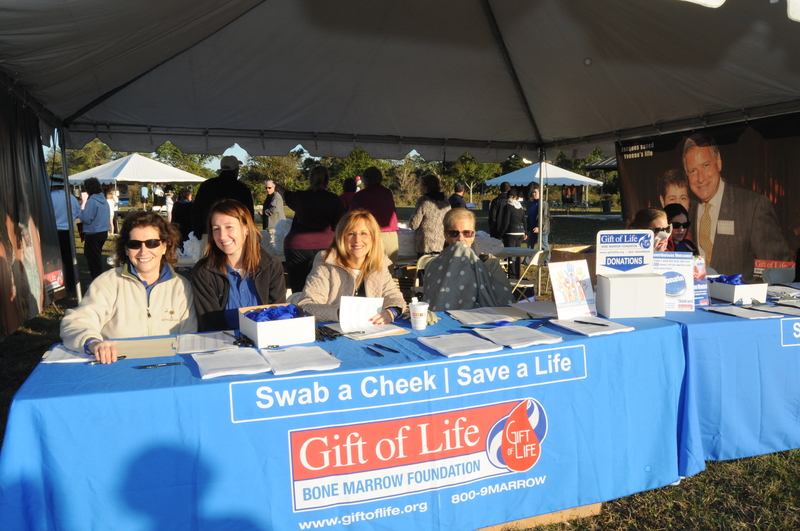 Recently, Gift of Life has started its countdown to celebrating 200,000 registered bone marrow donors. Our hope is to reach this goal by the end of 2011, and we are well on our way. Reaching this number is a major milestone that doesn’t happen every day. It’s unique, and we feel ecstatic about the occasion; a celebration, if you will. So, how does an organization like Gift of Life celebrate such a huge achievement? The marketing team put their thinking caps on and decided what better way to celebrate the occasion than with a photography contest? In honor of our notable milestone, we are proud to have launched “Show Us How You Celebrate Your Milestones Photo Contest.” We wanted to make this a big event; utilizing the power of Twitter, we reached out to Kodak® and told them about all of the exciting things happening at Gift of Life and had a great idea about having a photo contest that would showcase all of our fellow supporter’s milestones. On Monday, September 12th, we launched our milestones photo contest with Kodak® as the official sponsor. Those over the age of 18 are invited to submit their photos, and entries must show a milestone moment in life: Recitals, engagements, weddings, a big anniversary, or even a first trip abroad! Memories like these are joyous celebrations that are often caught on film, so we encourage all of our facebook friends to share them with us. 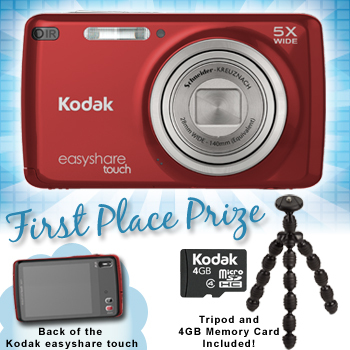 Participants have the chance to win a KODAK EASYSHARE touch camera with accessories or other Kodak® digital cameras and prizes. Individuals interested in entering the contest have until September 26th to submit photos; a voting period will follow, so make sure you spread the word and get your friends and family involved so they can vote. Once the finalists have been chosen, Gift of Life staff will pick the three winners. The full set of rules and regulations are available on the contest page, so visit facebook.com/giftoflife and choose the “Promotions” tab. If you have any questions, please contact socialmedia@giftoflife.org. For more information on Kodak® Products, visit Kodak. We know you are excited!